Titan, one of Saturn's eight major moons, has given scientists a surprise. The moon, which is considered a candidate for alien life due to liquid water on its surface, apparently has rainfall as well. An image captured by the NASA Cassini spacecraft during its trajectory into Saturn, appears to show a surface near Titan's north pole that reflects liquid from fresh rainfall. The methane rain is said to have fallen on a "relatively pebble-like surface." 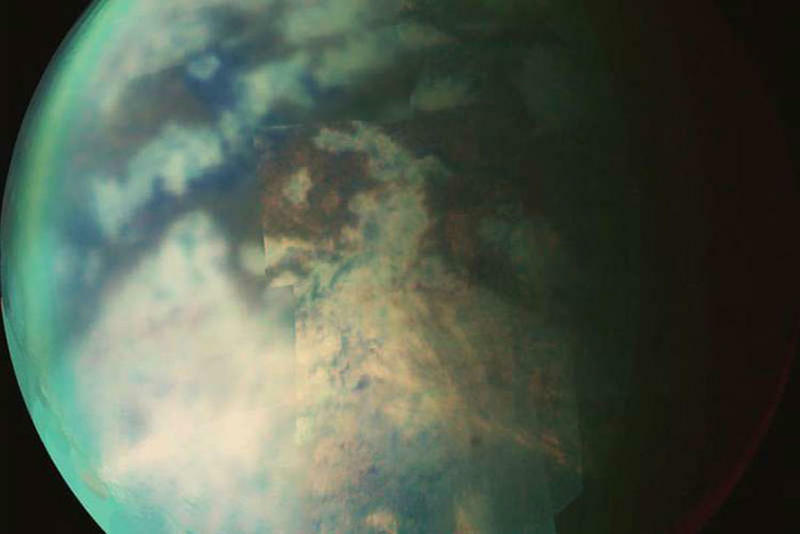 The image confirms scientists' longstanding speculation that Titan had active rainfall. Images of rain, or clouds, eluded scientists until now. Researchers believe the rain was composed of methane, due to the fact that it appeared to disappear from the surfaces it fell on so quickly. It's the second such discovery in recent months. Dust storms were observed on Titan for the first time in September. Some believe the dust storms may indicate the possibility that Titan is home to extraterrestrial life. The "dust" may actually be "organic molecules," by NASA's account. This discovery makes Titan the only celestial body in our solar system, other than Earth, where it rains. 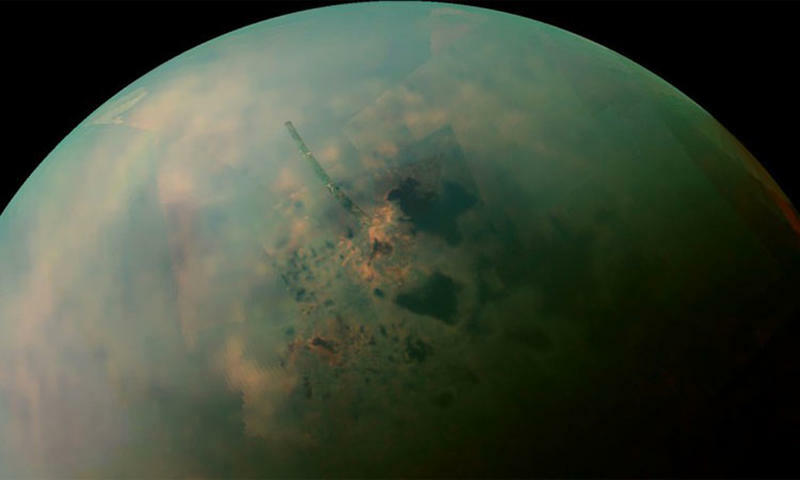 It isn't the kind of rain you'd want to get caught in - Titan is racked by intense wind storms that constantly shift the huge dunes that span the moon's equatorial regions. Titan is about 1.4 billion kilometers from Earth.